For the Pro Engine Builder. 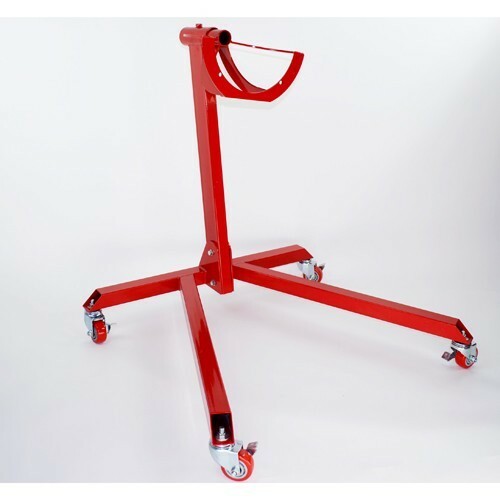 This VW engine stand features 2 long, diagonal forward legs for stability and strength. Urethane clad wheels, each with a brake and a 4 arm gusseted head to firmly hold the engine case. Painted brilliant red for durability and good looks. Built to work hard, last long and look good.